Despite some progress, Not for Profits are still bound by red tape. Alex Malley, chief executive of CPA Australia, looks at whether the sector needs a separate accounting standard. For many decades, Australian Not for Profit entities have coped with a patchwork of laws and regulations. In many cases this has placed excessive regulatory burden on entities with scant resources. Recognition of the existence of red tape in the NFP sector has led to significant regulatory reform by a number of Australian governments at the federal and state / territory levels. The establishment of the Australian Charities and Not-for-profits Commission (ACNC) in December 2012 was a significant milestone as Australia finally had a dedicated Commonwealth regulator that could serve as a lynchpin for regulatory reform in the NFP sector. Although there has been progress in reducing red tape for NFPs there is still a long way to go before a consensus can be achieved on what is optimum regulation in the sector. The ACNC is currently focused on the charities sector which represents approximately 10 per cent of NFPs in Australia. For regulatory reform to be successful across the whole NFP sector, the role of other government agencies and stakeholders is equally important. Statutory financial reporting obligations imposed on NFPs is one area earmarked for regulatory reform and work to streamline and simplify the requirements continues. A question that has arisen through this process is: should NFPs have their own accounting standard? Currently NFPs and all other Australian entities apply the Australian Accounting Standards (AAS) in preparing financial reports. AAS is largely based on the International Financial Reporting Standards (IFRS), a framework designed primarily for listed entities operating in global capital markets. The Australian Accounting Standards Board (AASB) has adopted a “transaction-neutral” approach to standard-setting under which like transactions are treated in the same way for all entities, irrespective of their sector. The AASB believes this is the most effective and efficient way of developing standards applicable to all entities that, in addition to addressing common requirements, can also accommodate any requirements applicable to specific groups of entities. To accommodate the needs of different sectors, including the NFP sector, the AASB made significant modifications to the IFRS-based AAS framework. However, there is still a view that the AAS framework is not “fit for purpose” for NFP financial reporting. The following are some considerations that should be examined in attempting to address this issue. Who are the users of NFP financial reports and is existing reporting meeting their needs? The objective of financial reporting in the for-profit space is primarily aimed at meeting the information needs of investors. In the NFP sector however the audience can be much broader and include funding providers, beneficiaries and internal stakeholders such as NFP employees. Government regulators can also require lodgement of financial reports by NFPs as part of their statutory obligations. We know what financial reports regulators require as it is stipulated in legislation and regulations. What about the donors, beneficiaries and other funders? Do we know whether these groups are interested in receiving periodic financial information? Are the actual user needs being met through current reporting requirements? It is imperative that we clearly identify the users of NFP financial reports and establish what financial and other information such users need before we embark on developing an accounting standard or other reporting framework for the NFP sector. Which NFPs should be preparing financial reports? Currently, legislative financial reporting requirements for NFPs vary across the Commonwealth and state / territory jurisdictions. Some requirements are underpinned by entity size (eg ACNC, companies limited by guarantee under the Corporations Act 2001) or entity activity (eg fundraising). Others require financial reporting by all (eg Queensland and Victoria incorporated associations). While not all NFP financial reports are required to be prepared by applying AAS, many do. For example, a charity registered with the ACNC with revenue exceeding $250,000 is required to prepare and lodge annual financial reports prepared applying AAS. The calibration of thresholds within legislation for NFP financial reporting is often based on public accountability. Is it right to expect an entity with revenue of $250,000 to prepare and lodge AAS based financial reports annually? Should reporting thresholds be reviewed for NFPs to ensure the public accountability objectives are met? What is the current status of AAS within NFP legislation? Many legislative requirements in Australia recognise AAS as the basis for the preparation of financial reports. Some of this legislation was recently drafted and enacted, suggesting the AAS framework is both credible and appropriate for financial reporting by NFP entities. The ACNC legislation for example came into force with the establishment of the ACNC in 2012 after substantial consultation with stakeholders. The legislation incorporates AAS-based financial reporting requirements for charities. Similarly, Incorporated Associations legislation came into force in Western Australia in July this year and includes AAS-based financial reporting requirements for certain entities. Given AAS-based financial reporting has been considered the most appropriate approach within recent legislation, any push for change must be evidence-based and broadly supported. What are the current developments within the AAS framework? In June 2014, the AASB published a research report that raised concerns around the application of some of the fundamental concepts underpinning the accounting standards adopted in the preparation of financial reports. While the research considered financial reporting by a number of different entity types, NFPs formed a significant part. The key finding was that the reporting entity concept, a core aspect of AAS-based financial reporting, was not being applied as intended. The AASB initiated the financial reporting framework project in response to the research findings. It is driving this project forward in conjunction with a number of stakeholders from the for-profit and NFP sectors. Deliberations so far have included examining alternatives to the current AAS framework including the possibility of simplified reporting under AAS for small to medium-sized entities, including NFPs. These are just some of the issues which need to be fully considered as part of any deliberations over whether there is a need for a separate accounting standard for the NFP sector. There are significant time and cost ramifications in moving to sector-specific standards. If we are going to move away from a “transaction neutral” approach, then consistent with best practice in policy development, we need to identify and understand the issues before proceeding on such a journey. 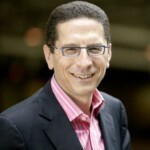 About the author: Alex Malley is chief executive of CPA Australia. Alex Malley is chief executive of CPA Australia. I note with interest the comments of Alex. A further issue impacting the “NfP” sector is the inability to use the International Standard for recognition of capital grants for the acquisition of assets. In essence this standard allows the amount of any Capital Grant to be amortised over the depreciable life of the asset funded for acquisition. “For profits” are mentioned in the Australian Accounting Standard as being able to use the standard and the inference is therefore that “NfP”s are not. In my 23 years in the “NfP” sector I have observed very few “For Profits” receiving grants for the acquisition of assets. Most (if not all) “NfP”s rely on capital grants to finance the acquisition of assets. The impact of the inability to apply the International Standard is that the grant income is recognised as income in the financial year it is received. For subsequent financial periods, the result of the “NfP” is adversely impacted by depreciation of the asset being written off and thereby reducing the results of the Organisation. The irony is, that the more successful an NfP is at raising capital grants the less successful their operating surpluses are in the years subsequent to the recognition of the capital grant. This surely flies in the face of the “matching concept”, which used to be one of the very first things that Accountants were taught! !